Catch the summer’s biggest blockbusters, new releases, advanced screenings and cult classic films under a starlit cinema screen. Moonlight Cinema brings the festival atmosphere to film-watching. 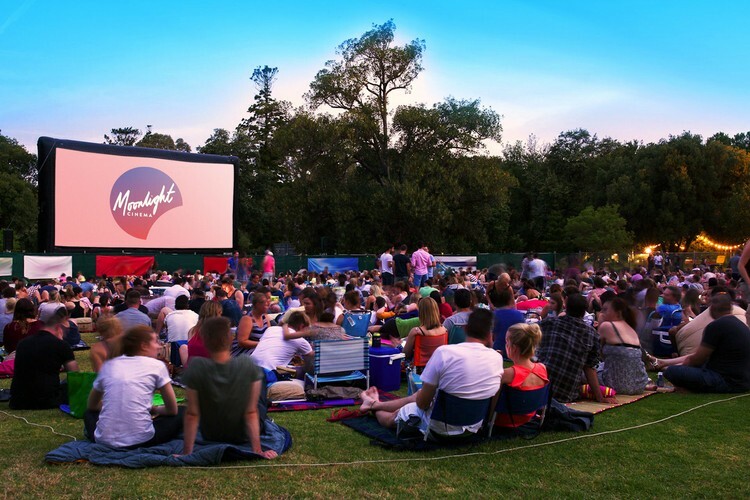 A favourite amongst families, groups of friends and for that special date night, Moonlight Cinema is the quintessential summer experience. It’s more than a movie experience, it’s an opportunity to kick back in the outdoors and relish in the summer vibes. Being a BYO* event, Moonlight makes a night out easy. Prepare a picnic of delicious deli treats, lollies for the little ones or your best bottle of bubbly, you can bring it all to Moonlight! Don’t have the time to pull together a snack pack for date night? Don’t worry Moonlight Cinema has you covered, their onsite food truck offers up a licensed bar and scrumptious variety of hot food and movie-going morsels to whet the appetite of film fans. Keep your eyes peeled in the coming weeks, the Dec/Jan Moonlight program goes live on Thursday 15th November, 2018. BYO alcohol is not permitted at Brisbane’s Moonlight Cinema.